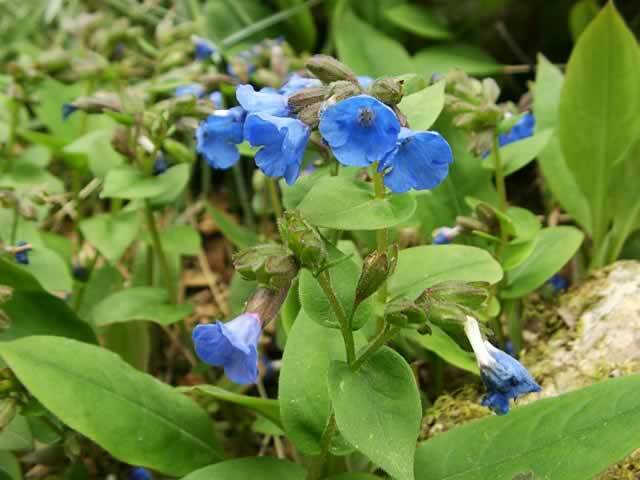 Blue Lungwort is a deciduous perennial plant with an 'I'll grow anywhere' attitude. They grow 6-12 inches tall and will quickly spread to 12-18 inches. They have soft, light green, lance shaped 4" foliage. Blue Lungworts produce short clusters of bright blue flowers tinged in pink for several weeks, starting in early spring. They are an excellent ground cover for the sun or shade. Spotted Lungwort is a clumping, evergreen perennial that is known for its pretty, marbled or spotted 4"-6" foliage and spikes of nodding, brilliantly colored blue flowers that fade to pink or pure white flowers that appear in early spring and will last for several weeks. Common Lungworts are good ground cover plants for shaded areas and can even be grown under trees! There are 14 different species of Pulmonaria plants, all of which are low growing, spreading perennials. These woodland plants grow best in cool, moist, humus rich soil. 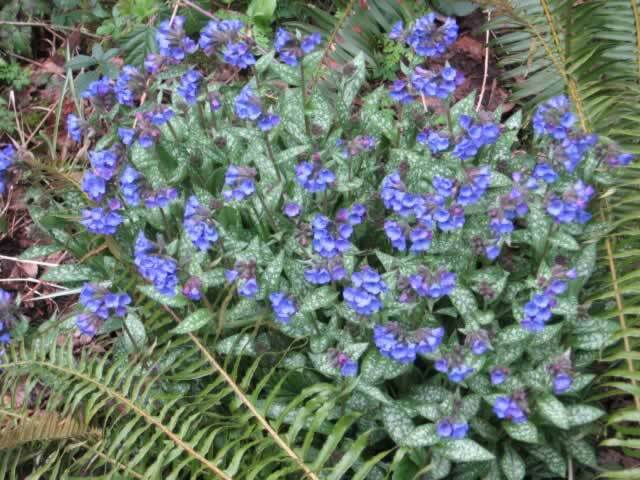 Most species of Pulmonaria prefer light to partial shade and will tolerate full shade, but Blue Lungwort plants (P. angustifolia) can be grown successfully in full sull to full shade. Pulmonaria Plants reseed freely, so it is possible to just transplant volunteer seedlings. Pulmonaria seeds have a relatively short period of viability, so it is best to sow them while they are fresh. They can be sown directly in the garden where they will grow, as soon as all danger of frost has passed in the spring. If you intend to start your seeds indoors, maintain a temperature of 55°-70° within the growing medium for germination in 15-20 days. 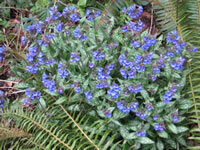 Pulmonaria plants can also be propagated with cuttings or by division in late fall.